You have to believe in Kashmir, to really be able to make a trip to the famed paradise on earth. And rest assured, you are going to find magic. After a multitude of discussions around buzzwords like ‘security’, ‘curfew’ and ‘terrorism’, I spontaneously booked my Delhi-Srinagar tickets one morning. I had always been fascinated by Kashmir, having read and watched so many fictional and non-fictional stories from the Valley. The Sheikh-ul-Alam Airport in Srinagar is like any other Tier-2 airport in India. As one walks out of the airport, posters of iconic Bollywood movies that were shot in Kashmir welcome you. On the drive to our hotel from the airport, I eagerly looked out of the car window, scanning the landscape. This was a city torn by war, propaganda and violence and yet there was something distinctly friendly about it. Some of the buildings looked destroyed and uninhabited. There were CRPF and paramilitary troops stationed along the roads painting a somewhat formidable picture. Yet when we checked into our hotel, a small yet nicely done property by Four Points by Sheraton, we were greeted warmly by the staff. Here we also met Syed Aaved, our guide who would drive us through Srinagar and with whom we would eventually forge a beautiful friendship. Our trip to Kashmir was marked by a superb culinary trail, much beyond the traditional wazwan, roghan josh and the like. Srinagar pleasantly surprises you with many quaint and lovely cafes, restaurants and eateries, some of which I have tried to document in this blog post. Located on the banks of the Dal Lake, this Game Of Thrones themed cafe is a real delight for every GoT fan. The passage that leads to the cafe is lined with sigils of all our favourite houses. The interiors are well inspired by George R.R. Martin’s universe, complete with an iron throne. They have the usual cafe fare in terms of food. The Winterfell Cafe also plays host to a lot of events promoting arts and culture in Kashmir. 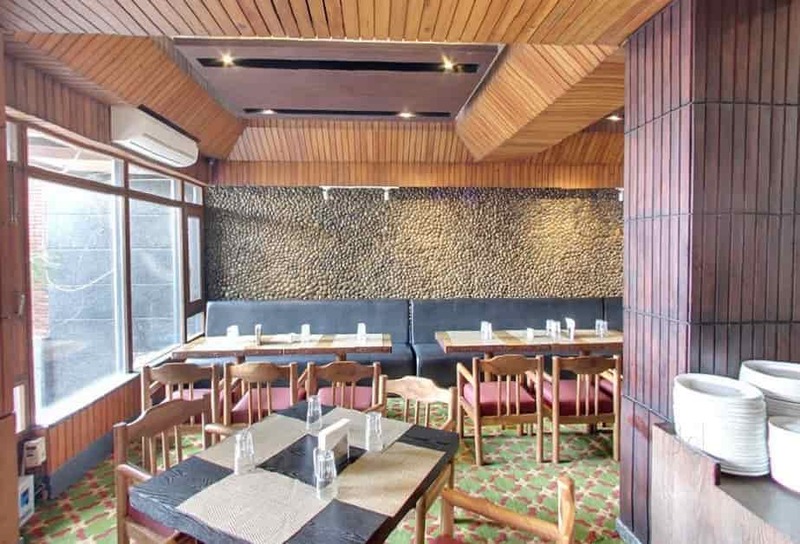 Popularly known as the first all American diner in Srinagar, this is a cosy cafe with bare brick walls lined with bookshelves and pages from old books. We called for hot chocolate with fish and chips. The cafe was bustling with young students and tourists, enjoying wood fired pizzas, coffee and conversations around books. Located in the heart of Srinagar, Ahdoos restaurant is a perfect pit stop for authentic Kashmiri cuisine. They have a wide variety of Kashmiri dishes on the menu to choose from. The iconic restaurant has been a part of Srinagar’s landscape since 1918. Located on the banks of the Jhelum river, this is a great pick if you want to enjoy some waazwaan in an open air seating. Just about fifty steps away from Ahdoos, this is one of the most popular and #InstagramWorthy cafes in Srinagar. 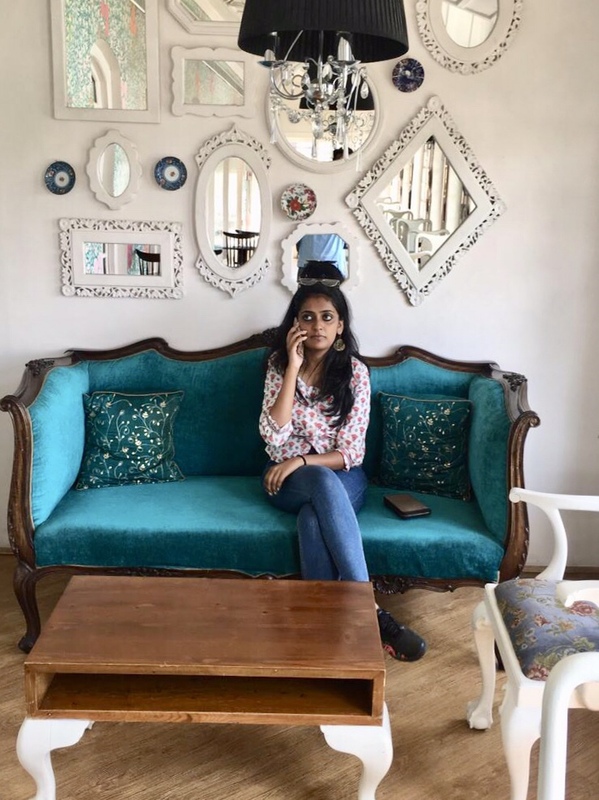 The aesthetically done up interiors – white furniture, teal and pink walls, vintage photographs of Srinagar and a multitude of tea tins – make for a very charming experience. We ordered Uzbek Naan with Keema and Chai, a delicious meal. They also have a good collection of iced teas, popsicles and coolers on their menu. Check out their Instagram page for more. Located in Old Srinagar, close to the Hari Parbat, Khayam Chowk is a paradise for meat lovers looking to devour some non-vegetarian Kashmiri street food. Lined with hawkers cooking kebabs on charcoal ovens, this is a bustling area with a lot of options to choose from. We went to Imran’s, one of the oldest establishments at Khayam Chowk, now an air conditioned restaurant on the first floor, with a balcony overlooking the entire street. They serve sumptuous barbecue platters with various kinds of kebabs, dips and accompaniments like the Kashmiri flat bread lavasa. Situated on the banks of the Dal Lake, close to the Kashmir University, this is a simple open air garden cafe with a phenomenal view of the Dal. Frequented by students, they serve light snacks and beverages. We spent a lazy Sunday afternoon here munching on shawarma,chicken popcorn and coffee. This is a beautiful property built on an elevation. overlooking the city of Srinagar. They have an open deck with a stellar view of the mountains and the lake. Apart from the view, we especially loved the Kashmiri Rajma and Mutton Rista with rice at their restaurant. Srinagar has many more culinary delights scattered across, which we could not cover due to paucity of time. However, if you are visiting Srinagar for the first time and looking to explore the food landscape in the city, this is a pretty exhaustive list of places to check out. These vibrant spots in Srinagar work well to clear up certain preconceived notions many tourists bring with them. Amidst all the markers of an insurgent past and much beyond the cliched Shikara and pony rides, Kashmir is home to many contemporary and eclectic spaces and a buzzing youth culture.